Toptal is proud to sponsor CodeCamp Bucharest, one of the largest IT conferences in Romania. Taking place November 10th, 10:00am to 6:00pm, the conference will have nine tracks including Machine Learning, engineering, product, leadership, testing, and front-end. Razvan-Marian Avramescu, a Toptal developer, will present a talk titled Magento 2 on Kubernetes. Razvan will talk about the popularity of Docker and how Kubernetes plays a pivotal role in this area. Combining Magento 2.x with Kubernetes seems now a very natural choice, and offers possibilities for scale. Join Razvan at 4:30pm in Engineering #2. 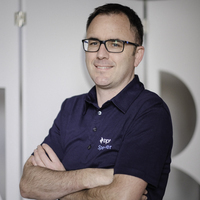 Brian King, Toptal’s Europe Community Lead, will also be on site for the conference. This is an excellent opportunity to meet Brian and Razvan and talk about Toptal work, as well as to introduce colleagues who may be interested in learning more.